Where do I start, I suppose at the beginning, I bought a special 6 shirt around 17 years ago and it’s still going strong and looks like new after years of hard wearing in all weathers! I totally love this piece of kit, I’d say without question it’s the best thing I’ve bought in all my walking years and probs the best value for money ever! Even in the driving rain and sleet on way up Nevis this shirt kept me warmer and more comfortable than any shell jacket ever could, it’s a bit warm for the summer months but come winter it’s the first thing I reach for when heading for the hills. I can’t recommend it highly enough!! 5 Stars. This is the single best bit of kit that I have ever worn. It is so versatile and comfortable. From sitting around in the mountains of an evening to winter walking above and below the snowline. I use mine everywhere and for everything. It really does work better when worn next to the skin. Does exactly what it says on the tin. 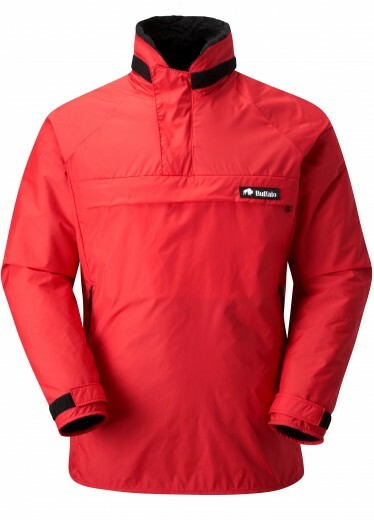 Bought this jacket to go snowboarding, minus 10+ and very windy, jacket kept me warm at all times. If you do get a sweat on it has zips under the arms to cool you down. Brilliant piece of kit! I bought mine about 20 years ago and it comes everywhere I go, summer, winter everywhere I’ve travelled. It’s been to Australia and into the Himalayas it’s also used as my pillow when I’m camping. It’s like my comfort blanket. As long as I have it I know I’ll be okay. You really don’t need anything else. Now I’ve seen the red one I may get a new one but do I really need to when my one has never let me down and is still in perfect condition. Best piece of kit I have and I’d be lost without it. The other reviews have said it already: most versatile and valued piece of kit you can buy. I have had mine for 5 years now and it goes everywhere with me. A bit warm for summer treks (but nice and warm on cooler summer evenings when idling), worn it skiing in the Alps, winter bushcraft trips in the Ardennes and in sub-arctic Sweden, and of course in the Scottish hills, both spring and winter and it’s awesome. I really love the large chest pocket and kangaroo pocket. In really adverse conditions (Cairngorms in winter) I wear a Hilltrek Braemar ventile windshirt on top, which is also a good idea when making fire during bushcraft outings (burn holes prevention). One tip: the separately available hood is a real must-have! Keeps the wind and rain out of your neck effectively and is nice and warm. Go get one and never regret! As with others mine is 20 years old and still going strong. Lakes, Scotland, Peak DIstrict; expeditions, mountain biking or just walking the dog. It’s my ultimate comfort blanket bit of outdoor kit. Always worn next to the skin, has provided the most memorable “I can’t believe I’m so deliriously oblivious to this awful weather” moments. If I were well off I’d buy another just because. Can’t recommend it too highly. Buy one! Bought my special six some years ago and within a few months, it had replaced a lot of other kit as I fully committed to the idea of the DP system. It’s doing remarkably well, as it quickly became my faithful companion not only on the hill, but almost everywhere, including to work where beset by sharp pointy objects on all sides, it’s suffered one or two minor scars. However armed with little more than some nylon thread and the patches supplied free from buffalo (with comprehensive instructions, and guidance over the phone) it’s been quick and easy to get it back to full health. I have on occasion had to brush the pile to get it back to full “fluffyness” and warmth after a few washes too many; but I remain astounded at the durability, low maintenance and most of all comfort offered, even when not only used but also (at least from the standpoint of what it was designed to cope with) abused. The only downside I’ve ever found is that some landlords don’t appreciate the necessity of having the vents fully open, whilst sat in their pub, having forgotten to shove a spare t-shirt in the car for just such a post-adventure occasion! I bought this after recommendation from a friend and I’ve never looked back. Working for an outdoor company I’ve had the chance to test a lot of gear over the years and can honestly say that no other garment offers such instant warmth and practicality as the Special Six. Sure a down jacket is warmer but they are hopelessly impractical in anything other than bone dry cold weather conditions. Worn with just a T shirt underneath, it’s warm enough to do winter fell walking and because it loses so little warmth when wet I find I don’t have to keep faffing changing layers all the time. Overall it’s probably the best clothes purchase I’ve made yet and will definitely replace when or if it wears out. Go buy one, you won’t be disappointed. Try wearing it without a T-Shirt for even better results! On long North-facing lifts I’d say a good scarf (or a hood) is essential and you have to remember to zip-up the vents. Plus the cuffs need to be locked-down around your mitts or gloves to prevent icy draughts. When the temp drops below -15 C I’d guess pairing it with an Alpine jack over the top (assuming your Special 6 is a tight fight) would be very sensible and even at 0 C and below I’d recommend to keep moving in order to generate heat. not generally a problem when you’re blasting about the mountains. finally, if you’re going off-piste you’d definitely need a Recco reflector – perhaps Buffalo could spec a future alpinists’-focussed shirt with one? It was so nice to be in something different to the usual mountain brands and for about a quarter of the price and made in Sheffield. Wonderful stuff. I have a special and work in search and rescue in a recent call out in blizzard conditions , -5 windchill -9 worked like a dream kept me toastie warm while walking digging cars out or sat in the back of the rescue vehicle recommend the hood simply buy one nothing more to say it does become your onezie ! I bought my Special Six second hand. It appears to be around 20 years old, when estimated from pictures of the logo, (this one being the old style, without the red/any text). Despite this apparent age, the smock looks brand new, with literally no flaws in the material whatsoever. The fleece is as lofty as it was when new, (compared against a brand new pair of the Special Six trousers). Performance-wise, I’ve used this on several occasions in the Peak District, in snow, down to ~-10 Centigrade, and 60-70mph winds, and some use in Halifax, Nova Scotia, down to ~-20 Centigrade and biting, 30-40mph coastal winds. In each case, the smock/trouser combo is pretty much ‘bombproof’, feeling like a sanctuary against the forces of nature. When the going gets tough, the side zips/vents allow complete venting if worn as recommended, (next to skin). The level of venting is modifiable by varying the zipper position. The older smock I have lacks baffles on the side zips/vents, so a little wind gets in at these points when they are closed, (I believe that has been rectified on more recent models), but other than the latter, a veritable citadel when on the move. I personally sweat considerably when active, but begin to freeze quickly when inactive, as a direct result of this. As such, if active, I highly recommend the Special Six for temperatures below ~5 Centigrade if windchill is present and/or you are relatively inactive, or for activities below 0 Centigrade for anything but the highest activity levels. An awesome product, thanks Buffalo! I bought my S6 some years back in New Zealand and got some mileage done with it there in the mountains during the winter and I was very impressed with it. It held up amazing well kiking in the high country of Oz during winter and then again in the Patagonia while I was doing a bike tour . I just got back from two weeks hiking and camping in the forests and mountains of Argentinia’s Tierra Del Fuego. I didn’t quiet know what to expect from the place so I brought along a standard thermal shirt and down jacket incase everything went to pot and I started to freeze in the evenings. It was cold(freeze and thaw cold), it was really stormy, really windy, it snowed, it sleeted and it rained on and off the whole time. For two weeks I hiked always in the Special 6 and then in the evening sat around the campfire or in the tent steaming myself dry. I never took the Down Jacket out (it became the worlds most expensive pillow), I just put the thermal top under the S6 in the evenings for a bit of extra comfort. As for the shirt itself, it is warm and very cormfortable, it’s light, it packs away well enough when not in use(I don’t know…swimming perhaps). Build quality is excellent and that front hand warmer pocket is the bloody best. I have Raynaud’s in both hands and I find that this pocket is by far the most effective pocket I have ever used to reheat my hands(which need reheating often on cold weather trips) when they go white. There isn’t anything I don’t like about this Shirt. I never use my fleeces(Patagonia ones) any more. I never use my softshells(Old MacPac and North Face ones), I never use my rain jacket anymore(Top notch Outdoor Research one). And now, I don’t even get a chance to use my Down Jacket either(top of the line Marmot one).All I use is my Special 6, I could have saved myself alot of dough have I got one of these earlier. A very versatile and dependable garment that suits me as I’m taller than average and appreciate the extra length the S6 provides. Coupled with a lined hood it provides warmth with low weight and rain doesn’t get through to my skin. Mittens and maps fit in the chest pocket and the handwarmer pocket is great for times when your hands are chilly. It’s very well insulated and sometimes I’ve worn mine inside out on approach walks below the snowline or when the sun is reflected by the ice and snow and there is no wind. Undoing the ventilation zips helps too. The pack size of Buffalo garments may seem big but you’ve got three garments in one here so you save on bulk overall. The drying time is fast when compared with other fabrics and the cosiness is a great feature on windswept summits when I just want to sit back, eat a sandwich and enjoy the view. Buffalo users seem very loyal to the brand and there’s a smile or nod sometimes when you see someone else in a Buffalo product. They’re made in the UK too which for me is a big plus after buying gear from dubious parts of the world in the past. I have had one for 20 years and but for the size it is still perfect and is the best bit of mountain biking kit I have ever bought and believe me at the beginning I spent big on supposedly top kit until I found the Buffalo, but after putting on a bit of weight I decided I needed a larger size, and again just fantastic. I wouldn’t ever consider anything else for winter riding. I wear it with just a thin base layer and have never been cold even in the coldest of weather we have had over the last few winters. I tend not to ride in the wet, but when I have been caught out, it has not let me down comfort wise. Although it is not waterproof it has still kept me comfortable and warm. Thanks again Buffalo. Had mine nearly 20 years now, an earlier design but still the the single best cold weather jacket out there, it has been through the wars quite literally, and where other jackets, thermals and new trends have come and gone in my kit (sometimes at huge expense) the Buffalo has beaten them all hands down, despite a little color fading and a few singe marks from the odd camp fire this kit is still a life saver for sure esp when wet. At the top of Blencathra in some of the worst weather I have ever been in, this gorgeous piece of kit certainly did save me. The best makers of outdoor kit I’ve certainly come across…… Get involved and buy one, you’ll never purchase better! I thought I had lost mine 6 years ago when I got rather drunk on my 55th birthday, but found it again (clearing out my teenage daughters bedroom) and so pleased. Been using premium base, mid layers and then top layers for the past 5 years…now I have found my old trusty buffalo they can go in the bin….or perhaps the charity shop. So pleased I have found my special 6 shirt….bring on the crap rubbish weather I am ready for it. Now, where did I put my brashers…. I’ve had my S6 for several years now, and won’t be seen without it between November and March. I wear mine for work, dog walking, skiing and standing around watching the kids playing football for hours on end at the weekends. It is a superb bit of kit, and the warmest thing I own. The cloud came in around 4400m and the wind steadily picked up so on the summit of Mt Ararat last week the temperature was somewhere around -30°C. To be fair I had a Tog 24 jacket on over the top of the Special 6 shirt but I wasn’t cold. Heading back down to camp 1 later on without the jacket a bit of sleet and some heavier rain was no problem, in fact I was getting quite warm. 🙂 Super bit of kit! Absolutely fantastic piece of kit for wet and cold areas, ideal for when temperatures are from 5C to -10C and rain and snow are equally likely; think Scottish winter or some of the worse days on Dartmoor. The side zips mean that regulating temperature is very easy and can be done on the move, rather than having to stop to add/remove layers; you start off getting a few funny looks but within a few hours everybody is envying the ease of which you can stay at a comfortable temperature. It dries in minutes when soaking wet, after falling in a river on Dartmoor (around 0C) it only needed a quick ring out before being put on again and being bone dry within 10 minutes. Further more it shakes off snow and wind very well and doesn’t even look too bad. The pockets are a brilliant size for maps, gloves, snacks etc and very easy to get to. 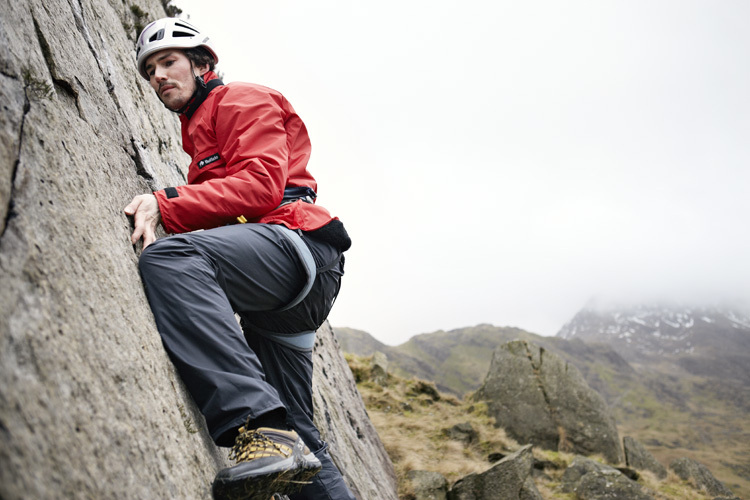 It’s an ideal emergency layer for lots of conditions because although heavier than a synthetic- or down-fill jacket it will always be warm to wear even when wet. Only bug bear is the hood is not very adjustable but otherwise it is perfect for cold and wet conditions where down/synthetic would get and stay wet & cold. So I have owned my S6 shirt for 5, going on 6 years now and I have practically lived in it since I bought it. I have winter hiked in it and cycle toured around New Zealand in it, it was perfect. I used it while out hiking during tropical storms in Northern Australia, it worked a charm. I cycle toured through Patagonia during the spring and summer in it, it never let me down. I winter camped (through crazy storms and general nasty weather) in Tierra del Fuego in it, again never took it off (although I had a down jacket with me, I never had to use it as the S6 was all I ever needed to wear in the rain/snow freeze nights and the unfreeze wet days). I used it hiking in soggy wet Ireland(winter and summer being pretty much the same), it was champion, worked like a wet suit. I never took it off through a cold Central European winter while living in an unheated ( and non-insulated) house in the woods, so easy to wear indoors and out, while working or eating etc, a real second skin. I recently used it while cycle touring/camping north through Sweden over the summer and autumn seasons, I worked through the rain, wind and cold no worries, cycling or setting up camp. I currently use it for hiking and skiing (winter) in the north of Lappland, I wear nothing else unless I wish to set up a camp or sit around a fire in the evening (then I wear a Swedish M1909 over the top of it). At temperatures between +5 and -12 I wear it next to the skin as advised (legs are taken care of by S6 trousers), I find that this is the most comfortable way to wear it. After -15 or so I wear a thermal top under it for a little extra protection (never under the trousers though), but this is all I got on even if it is -35 out and I am skiing for 4 hours or so. That is all I wear, and I am not beyond feeling cold or chilled (unlike some Labrador kind of people out there),I find this set up is more than enough for me, it’s also very light weight and easy to move around in as well, and that is a huge plus for winter clothing. I couldn’t recommend this product enough? I would advise you to get the hood as well, you may not use it all too often but when you need to it’ll be the best 28 quid you ever spent. I keep mine on the shirt while camping as in the evenings it is nice to throw it up and keep the chill off the neck and cheeks, I reckon you can’t go wrong with it anyway. I’ve avoided a Buffalo PP for years because I run hot, but now I’ve got a few cold activities where I’m not pushing things most of the time I’ve finally got myself a Special Six (I’ve got a relatively long trunk so it suited me better than a Mountain Shirt). And it’s a great bit of kit, laughing in the face of cold and dreich and is now my Weapon Of Choice for coaching MTB to kids on cold, damp winter mornings. It does what Buffalo says it’ll do (I assumed they knew what they were on about with next to the skin, and it turns out they do), though the caveat is “replaces up to 4 layers” doesn’t mean 1-4… you can roll up the sleeves, undo the zips and the tabs, but it’ll still be quite a bit hotter than a Helly Lifa top on its own! All of the venting/circulation features work, but for me it’s for cold to very cold and never a day where I’d want to be down to just one layer. 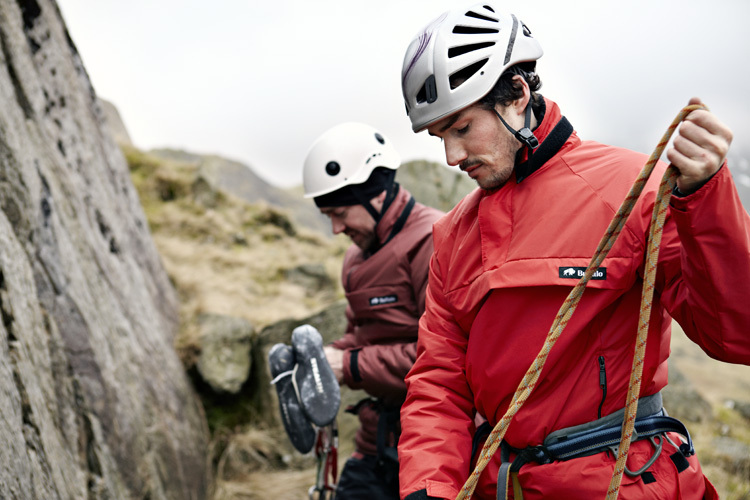 Now very interested in an Active Lite for when it’s not so chilly! Glad you have finaly moved over to Buffalo. For high activty winter use, then the ActiveLite will be perfect for you, and then the Special 6 Shirt for when you are working a little less hard. I’ve wanted to try the Buffalo Special 6 Shirt for some time now, but for some reason never got around to buying one. Well I finally got round to it and so pleased I did, I’m 6ft2 and went with size 42, the fit is perfect and as soon as you put it on next to your skin or just with a t-shirt you can’t help but say wow due the instant warmth it gives you. Its the perfect item of clothing for hiking or walking the dogs.I also love the fact that Buffalo still make their products here in the UK. I would highly recommend this shirt and I look forward to wearing it for many years to come. I’ve had my Special 6 now for a few years and has served me well for many shifts as a Armed Response Officer in all the elements. Luckily the endurance of the protection has never been extensively tested until recently with an 8 hour day on the range in driving snow in Snowdonia. Armed with just a Helly underneath I was left perfectly snug and dry despite being sodden from the snow all day. Amazingly the snow never penetrated the outer shell which was very surprising. I can’t recommend the Special 6 enough, especially with the mountain hood for added warmth around the back of the neck. The only thing I did miss was the mittens. They will without question be the next purchase I make in time for my next range day! Simply awesome. It’s been my first choice for every visit to the hills and been worn for winter ascents and summer storms, walking the dog and standing in the rain watching my son play rugby. It’s also perfect for wearing under my drysuit when diving, and my diving mates who are not mountaineers are always asking about it. Lots of diving has compressed the pile a bit, and I bought a new one, but my son has taken the old one to wear while at uni’: apparently, wearing a Buffalo indicates a “serious outdoor dude”. He now wears it pre’ and post surfing, as well as in the Brecons during parts of his uni’ course. I’ve had mine since I was 14 some 21 years ago. Bought to start my bronze DofE and since then it’s seen me all the way to gold and hasn’t let me down since. Went for a bimble today and its still the single best piece of kit I own. Can’t recommend these highly enough. If I were forced to buy another walking jacket there’d be absolutely no question it would be another special 6. Bought a shirt 30 ish years ago and still going well although as I do not do as much now it’s is getting a little tight, so really pleased to see i will be able to renew. Had my Special 6 for @17years now. Can’t recommend it highly enough. Moved from the UK to Canada 10+ years ago and its come into its own in some severe weather. This winter I was wearing it in -22 while out walking and was snug with just a long sleeve base layer underneath. I tend to get pretty hot and sweaty when geared up, so the side vents are perfect for heat control. Brilliant piece of kit. Need some suppliers in Canada!